☆ Elvis ★. . Wallpaper and background images in the Rakshasa & Những người bạn club tagged: elvis presley darth vader. 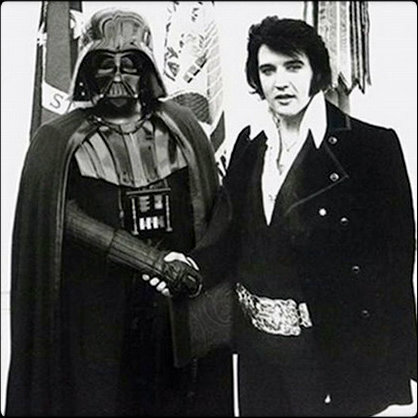 elvis meets vader??? soooo cool!! !